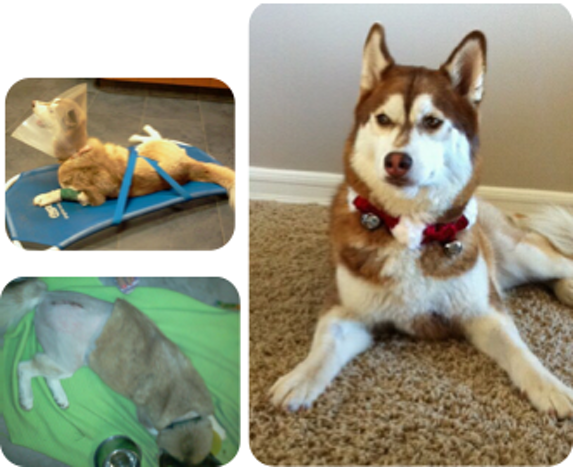 Julia was another husky hit by a car and then left at the animal shelter. She was in terrible pain. The shelter called us to see if we could help her or she would have to be euthanized.